If any of you haven’t heard about this yet, the news broke earlier today about Wild assistant coach Darryl Sydor pleading guilty for drunk driving. Sydor was originally sentenced to a year in jail, all of which but 60 will be stayed over this 4-year term. Sydor was arrested earlier this summer, August 20th to be exact, in Anoka County, MN after he was reportedly driving after recording a BAC of 0.3. His sentence consists of 60 days which will be served in 15-day intervals this month, as well as the next 3 Octobers. This weekend, he has 1 of those mandatory 15-day sentences, but according to an article from the Minneapolis Star Tribune, those sentences could be waived if he stays sober within this period. This means he is banned from consuming alcohol during this period of time, and will be subject to random testing. 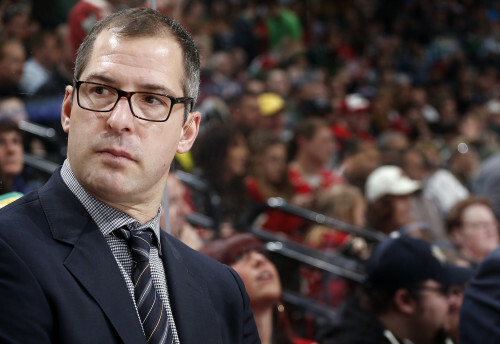 Sydor has not returned to his coaching job since his arrest, and the Wild said that his return to the team will “be addressed at a later date” in a statement last Wednesday.